It never fails: you need a ladder to get to where you need to work, you need tools to do said work, but you can’t use the ladder and hold said tools at the same time. You need another limb, which is presumably what the people at ladder limb ($20) were thinking. 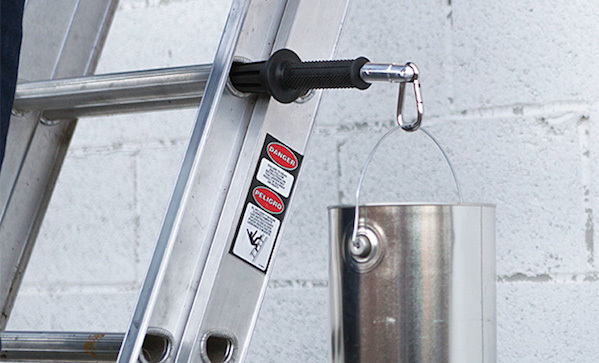 Attach the thing you need to the carabineer, slap your ladder limb into one of your rungs, and work away.